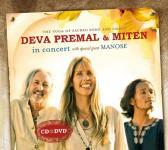 In response to the many requests received over the years, this long awaited album is capturing the magic of Deva Premal & Miten In Concert. Deva, Miten, and Manose have been touring together constantly for the past years, during which time their concerts have gained a reputation for spiritual rejuvenation, high celebration and deep meditation, steeped in the richness of Sanskrit mantra. The double CD/DVD digi-pak captures the spirit of the trio's live experience exquisitely, recorded in their 'home town' of Byron Bay Australia. 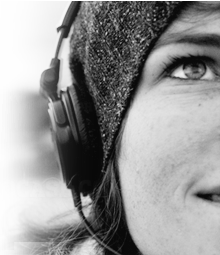 It contains many of their most inspirational mantras and songs, and 6 previously unrecorded, brand new pieces. The CD features the haunting, uplifting new anthem In The Light Of Love/Om Shree Dhanvantre Namaha, while the 2 hour BONUS DVD captures the magic of the evening, along with personal interviews and extras.